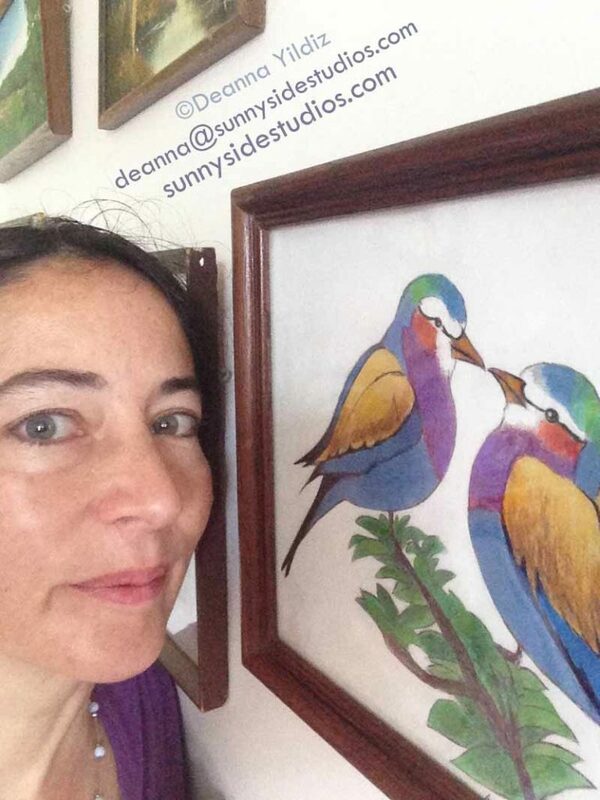 Here Deanna Yildiz poses with one of her artworks of very beautiful, colorful birds. Hi there! I’m Deanna Yildiz. Contact me here to let me know more about yourself. I’m an artist, illustrator & designer. I do fine art projects, 3D art/animation, UI/UX, web designs, database development, logos & more. I’ve created websites for Soloella.com, Arrow Advertising, Crescent Publishing, The Gifted Portfolio, The GeoPalette, & Jimmy Whispers Acting School to name a few. I’ve also worked on developing a site for EmpowRx, a health care provider site, as well as internal websites to track templates and user workflows & assignments using PHP & mySQL. I enjoy creating work that is great to look at and also very useful to use. 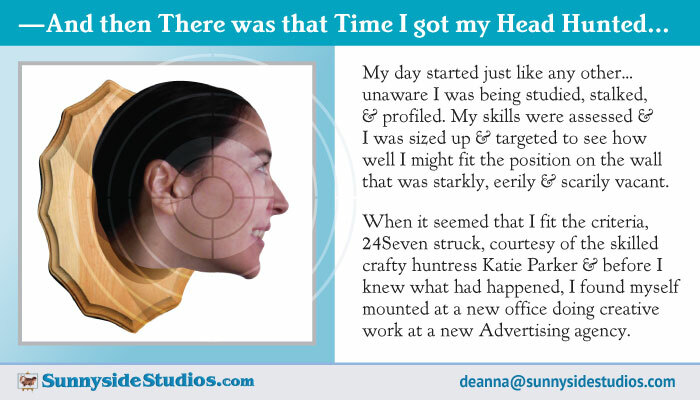 Check out some of my Client, Supervisor and Co-Worker Testimonials by clicking here. I’ve been drawing and painting for more than 20 years. I absolutely love to create unique and interesting art for you to enjoy. Lately, I’m focusing on a humorous aspect with cats as my main subjects. When not drawing cats, I also do a variety of other animals because I love them. I also am fascinated with the cult of celebrity and enjoy drawing celebrities and beautiful people. Check out my Portraits here. Thank you for coming to visit my bio page and learn a little bit about me. Sign up to stay up-to-date on any promotions, discounts, and helpful tips and information. Your email will remain private. 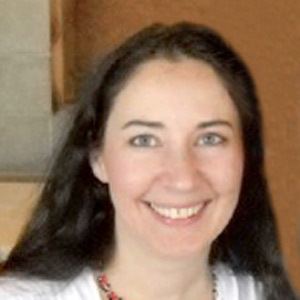 Born Deanna Knauth, I married into the Yildiz name (which means star in Turkish) when I married my husband Kutay. I grew up in a large family of 11 brothers/sisters. We had great fun and trials growing up and moved around different areas of New York before settling down permanently in the Hudson Valley Region at Kingston, NY. Because of all the children in my family, I really enjoyed finding private quiet time and one of the ways that I did that (besides reading) was drawing. Oh! I love to draw. Rabbits were always my favorite to draw but I also like creating characters and sometimes, as a child, even just drawing clothes like Holly Hobby might wear. I always felt happy with the animals that I drew but it was a greater struggle to draw and capture the human face. By the age of 16, I felt I had accomplished that goal and when I went to the Fashion Institute of Technology, I honed my computer graphic skills as well as my painting skills. I have always been told that I do the best portrait work but I now also have amazing Adobe Photoshop and Illustrator skills. I even dabbled with teaching those skills to others. Any big projects I’ve worked on? After 15 years of art, design & tech experience, I was commissioned to do the drawing designs for a large bronze door on a famous NYC cathedral, St. Vartan. After a 3 month back and forth design phase, after 5 years funds were raised for sculpting the artwork at super-large, over-size door size and then casting & bronzing by Setrak Agonian of International Creative Metals, Inc. Even Mayor Bloomberg came out to speak at the grand door’s first opening and the Armenian dancers performed beautiful costumed dances in front of the door at the large, exciting and beautifully executed day-long event. I did feel honored to know that I was part of a great artwork that should stand through the ages. These days, I spend my time working on either computer design/web projects for my clients or I do commissioned artwork, logos and portraits for those who contact me. I dabble in database design/programming for fun as well as hiking & camping or visiting art museums in my spare time. 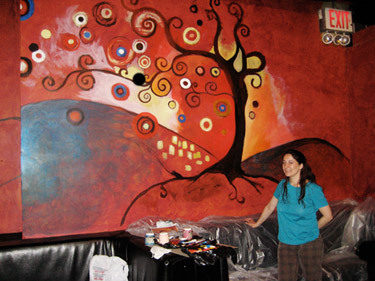 I like to paint shoes, clothes, walls and bags. I’ve been coming out with a humorous series on cats and elephants, as well as focusing more seriously on drawing animals, wildlife and portraits of homes & celebrities. I would love to illustrate a children’s book in the near future. Being an artist is a goal that I am so glad that I have accomplished and it brings me pure joy to be able to bring these imaginative & colorful works here for you to enjoy. I hope they give you as much pleasure as they do to me. I enjoy creating them and enjoying their visual appeal. I like to make people laugh and smile and to have visual beauty along with that can’t be better! Part of what I like to do is show my appreciation for the beauty already present in this magnificent world. I created SunnysideStudios.com to showcase my art and also to offer my creative works for your business or personal needs. I have a passion for exploring and sharing visual artwork (from paintings, drawings and sculptures to photography and computer design) and also would love to inspire creative art stories. 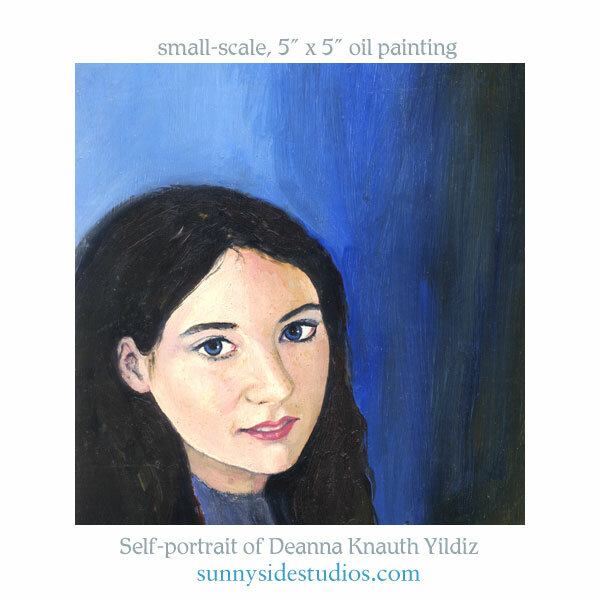 Hey check out this tiny 5″ x 5″ oil painting that I did of my self way back in 1993! Holy cow does time fly or what?! Send in your story and art photos so we can share and inspire others towards creativity too. Please contact me to let me know how I can be of service to you. Enjoy and don’t forget to take home some of these beauties so they can uplift your world as they have mine. Thank you for looking at and sharing my art.